1 Makati’s I’M Hotel: I’Mpressive! 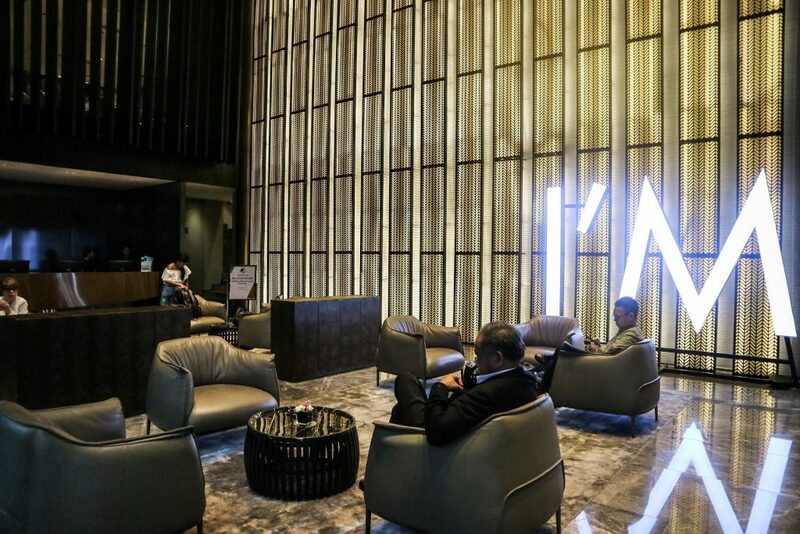 Recently, Tina and I were invited to stay at the trendy hotel in Makati — I’M Hotel. The experience was awesome! Entering the hotel itself was a treat, with the luxurious gold and black trappings accenting the modern space. But we further fell in love with the place as we explored all it had to offer. 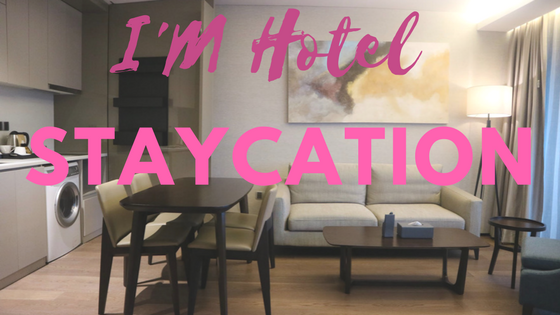 Read on to find out how I’M Hotel can be perfect for your metro staycation! 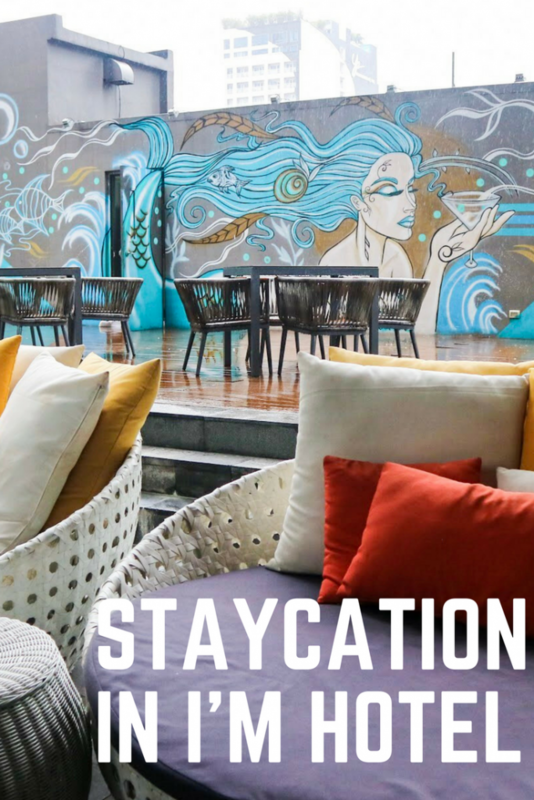 I’M Hotel is located in Poblacion, one of the trendier and more active places in Makati. This also means that it’s in a very accessible place, surrounded by restaurants, hip bars, and shopping places. The central location is perfect for business meetings, too. In fact, the hotel has meeting rooms as well as a planned ballroom which is specifically geared for large events, whether corporate or personal. The rooms are spacious, and suites are made for entire families! They’re so spacious that there’s even space for little children to run. What’s also amazing is the fact that the suites can be “adjusted” through a swiveling panel. 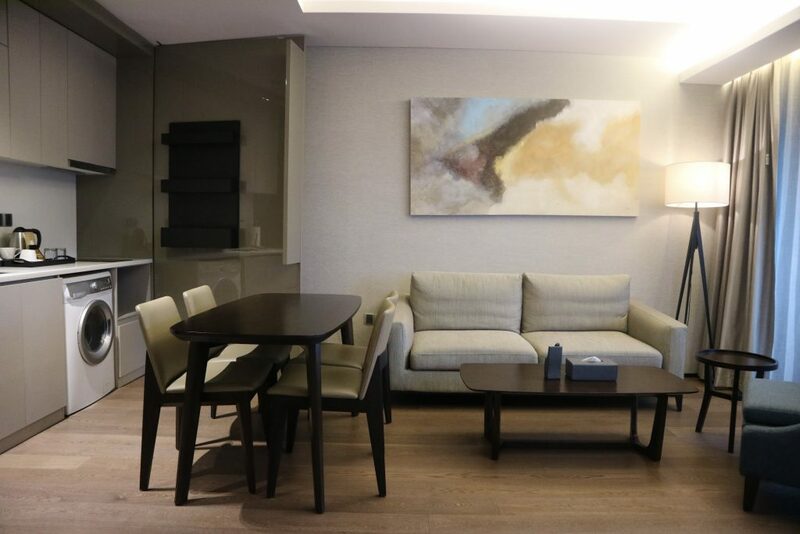 There are also different room types for business travelers and couples who like things a little cozier. They all share the classy, luxurious touch evident in the whole hotel. We got a one bedroom executive suite, which has its own living room, working table, dining room, laundry, and kitchen! The last one is a concealed spot, and you can actually have a business meeting in this room and still retain a semi-formal atmosphere. Our room came with a private balcony and two chairs, with a great panoramic view of the city. We weren’t able to make use of this amenity, however, since it was raining so hard the days we were there! But rainy days are perfect sleeping days, so we were able to attest to the comfortable beds. Sometimes I slept while Tina worked, and vice versa, and we liked the fact that in case one of us had to meet someone in the living room the other could sleep in complete privacy! Since the hotel is still new, the amenities are also really modern. I’M Hotel does not forget what makes travelers tick! They have two different restaurants, offering different cuisines. Bloom provided us with the free breakfast that came with our accommodation. It serves primarily international cuisine in the form of a buffet, and they also have lunch and dinner menu! They also provide the free meal package bundled with the spa. 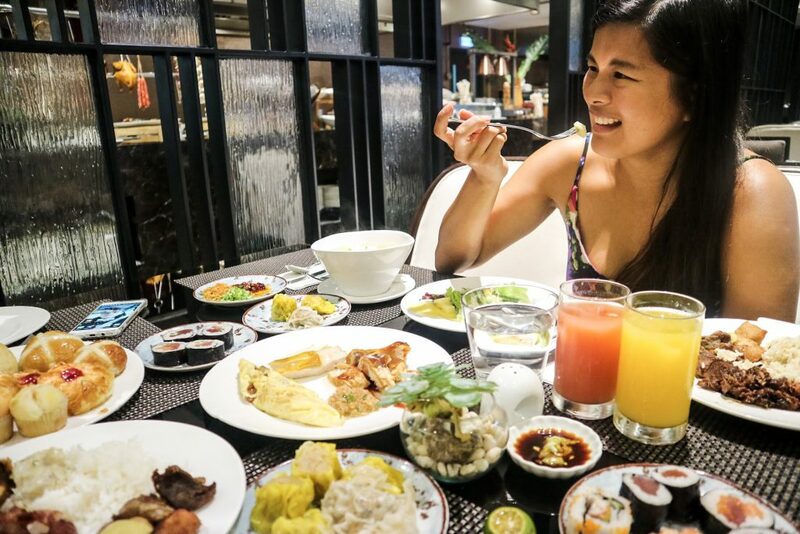 This bundle offers use of the spa and onsen (more on these here) plus a buffet meal for only Php 1,499 on weekdays and Php 1,799 on weekends! If you book directly with them, this also allows you to use the club lounge, which has unlimited drinks. Unfortunately, we were booked through a different agent. 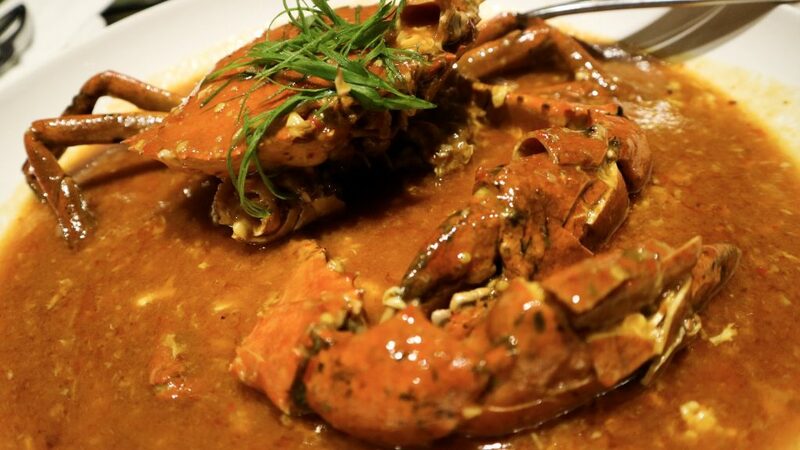 The second restaurant is Empress Jade, which offers modern Chinese cuisine. They have really good food, including steamed prawns and taro croquettes! Between these two, you won’t even have to go out to the other food places nearby. The hotel has a mermaid pool lounge, which is just picture perfect! You can lounge around here with your companions at any time of the day, and you will surely be uploading many pictures to all your social media accounts. 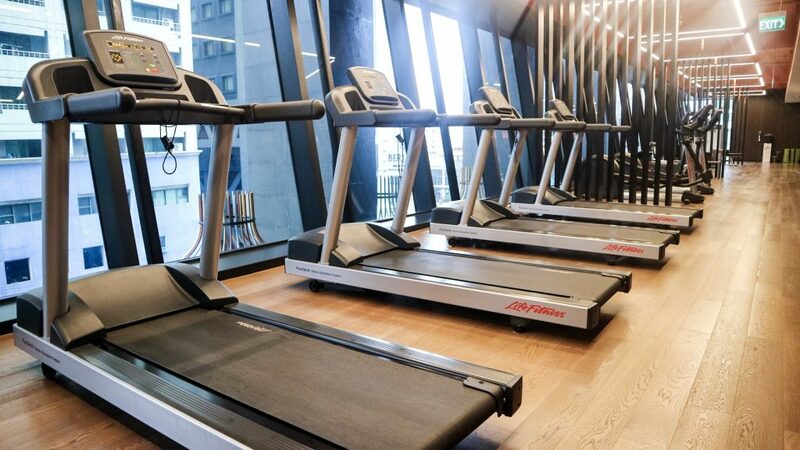 Those who aren’t a fan of swimming might be interested in the gym, which also has the latest state-of-the-art equipment. When we were there, the roof deck was still under construction. But I’m really curious to see how the view will be once it’s done! The rooms themselves offer great views, so the roof deck should be more magnificent. Of course, there are also the multiple function rooms for the business-oriented guests. However, the real treat in I’M Hotel comes from their signature onsen and spa! The hotel managed to create the largest spa facility in the country, spanning 69 beds and 6 storeys for a total of 3,800 square meters. The technology is imported from Japan, making things really authentic. There’s also communal beds, couple rooms, steam rooms, and even VIP rooms (yes, you can hold gatherings in the spa!). Their signature massage is just heavenly. I’M Hotel, from what I have seen so far, is just perfect. Sure, the onsen and the food choices are top-notch, but at its very core, it is a very well-run hotel with awesome service and comfortable amenities. It’s an affordable 5-star hotel that’s perfect for a multitude of crowds. Anyone from couples seeking relaxation to businessmen seeking a good conference area would love the experience. 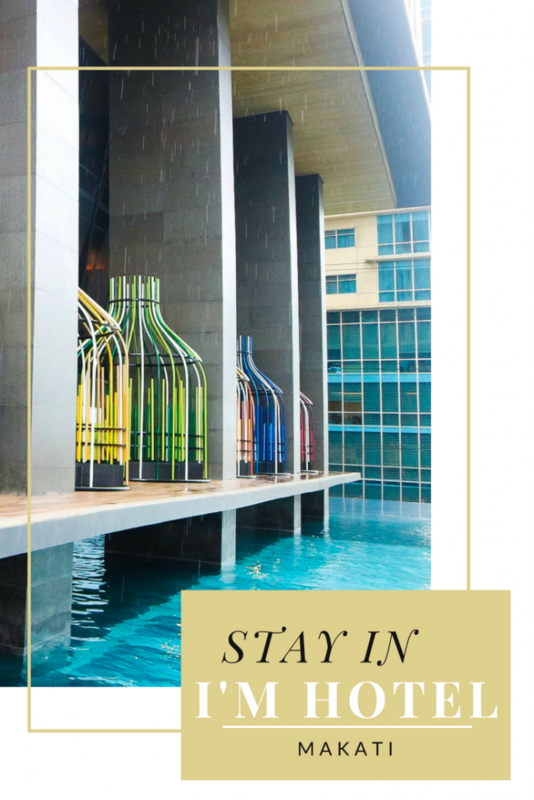 You don’t even need a reason to be here — if you want to have a great staycation with friends or family without leaving the metro, then this is your place! Pretty cool design and colours! The food there looks yummy too! First of all, the name of the hotel is really impressive – I’M hotel. Completely agree with you, a hotel with the advantage of central location is plus. Loved all the details you put in with the help of pictures, the room does look amazingly large with nice empty space to roam around freely(unlike Europe where rooms are really small unless a 5* star hotel). A hotel with a restaurant which serves international cuisine knows how to retain its customers. All in all it looks like a great deal to enjoy stay there. This looks like just about the perfect accommodation – great quality and services. Food looks great and so does the pool! I’ve heard about this hotel from my friends, too, and they said it’s awesome! The place is also very instagram worthy. It seems like you had a very relaxing day at I’M! 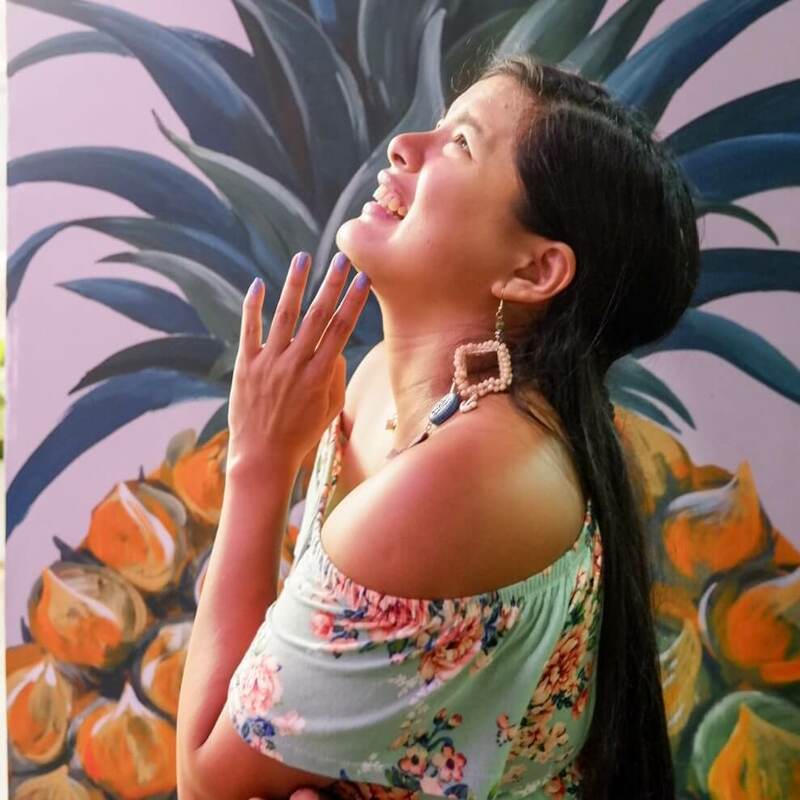 I love your OOTDs!!! I love their pool area! looks like this would be a great getaway. Location to me is always so important because I like having the option of food sources out of the hotel. The I’M Hotel looks fabulous. You wouldn’t even mind a rainy day—it gives you a chance to enjoy the luxury of the accommodation. I love a hotel with free breakfast. It’s nice to have the option to stay in or go out when first getting up in the morning. Staycations are perfect for massages, too! I had to look up where Makati was. I’ve never heard of it before but it looks like you made a great find. That pool looks like perfection and I have to say I love a hotel bath. It’s so modern and beautiful. Great choice. Seems great that just staying in the hotel already feels like a vacation. Thanks a lot for the introduction and I hope to get more options and reviews in town! 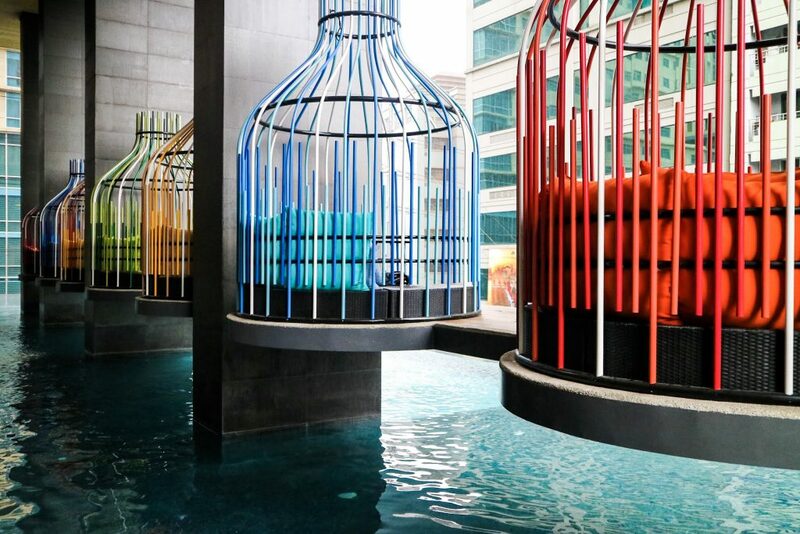 The I’M hotel looks really ideal for a staycation. A place where one can take a break from the monotony of everyday life. A place to indulge the senses and rejuvenate and reenergize. Definitely a place where if you are staying you would not want to go out! OMG, that buffet! I would visit for the food alone. And those cool pool pods. Actually the onsen piqued my interest, too. Back when I was based in Manila, this hotel is just a couple of streets from where I used to stay. I saw them build (or fill) the hanging swimming pool and heard about how great their onsen is. Too bad I’m not there right now, I would totally appreciate having a staycation there! This looks like a wonderful destination! It seems like you were very relaxed! The food in the restaurant looks incredibly yummy! Looks like an awesome place and I love your photos! So glamorous! 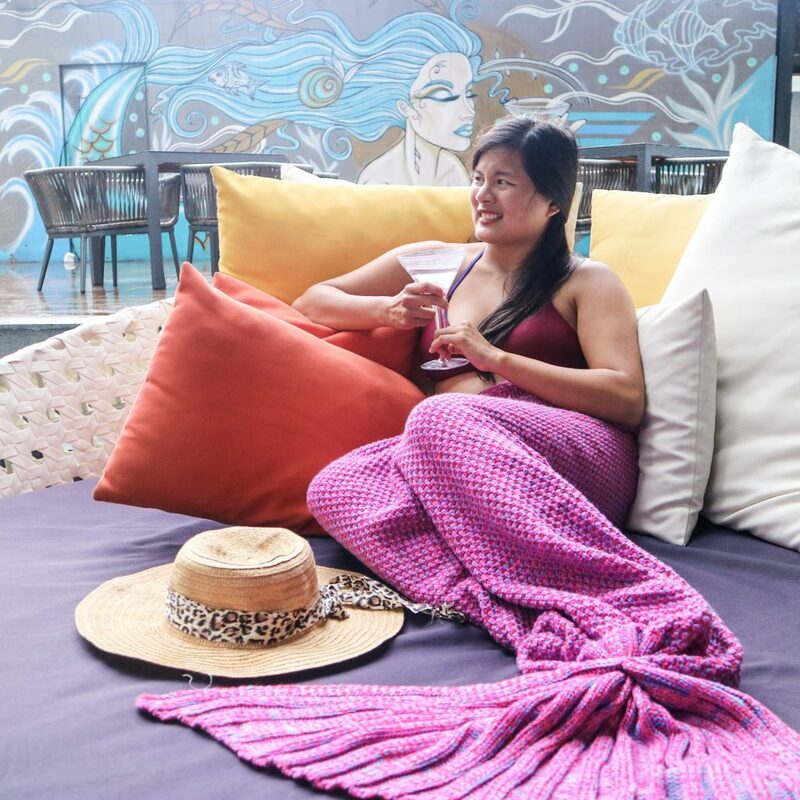 Also – mermaid tail blanket?! Want!!!!! Those bird cage like things really interest me. I am not sure why I would want to use one but I want to try. I love how it looks modern but friendly. I’m Hotel looks perfect. The rooms are cozy and comfortable and the mermaid pool lounge is where I will love to spend my maximum time. Food also look yummy.